When you realize that you have to much stuff in your home, the next logical step is to find some storage space. Still, packing for storage isn’t such an easy task. It is a bit different than packing for relocation since your items will be in the moving boxes for a longer time. It’s not quite simple as you may think it is since there are so many things to take into consideration. Things that maybe haven’t even cross your mind. Luckily, there are some tips and tricks that can make your packing for storage easier. What kind of items do you need to pack for storage? How many items you are packing? Are there any bulky items on the list? Will you be getting rid of some stuff? What type and size of storage unit you will need? These are all the important questions to think about. The answers will help you determine the right size and type that will be most convenient for your items. Then you can make a bulletproof packing plan and schedule. Be meticulous and write everything down. Once you have an elaborate plan, you can pack much smoother. Decluttering your home is one of the basic household packing guidelines. There’s no point in keeping things that you don’t need. You will be wasting money every month on renting the bigger storage unit than you actually need. There is bound to be the stuff that no longer is useful to you. Some of them may be broken or neglected, and it’s about time to throw them away. The items that are in the good condition you can donate or sell on the garage sale. Anyway, your storage unit shouldn’t be the place where you will pile up the things that you will never use again. You should keep it tidy so you can easily reach the items that you do use. Like seasonal clothing or Christmas decoration. For time to time, you should really declutter your home. Especially if you’re planning a relocation. 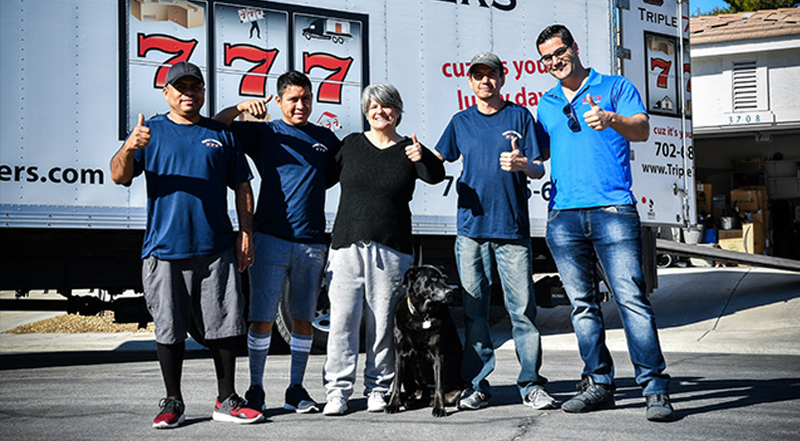 Any residential movers Las Vegas will tell you that this step can save you a lot of money when moving. Since the moving costs are mostly based on the total weight of your belongings, imagine how much money you’ll be throwing away if you don’t get rid of the things that you don’t use. The same implies when you’re packing for storage. The more items that you have to store, the smaller storage unit you’ll need. Hence, the lower monthly rent expenses for the storage facility. When you’re packing for storage, try to use the boxes of the same or at least similar size. That will make it easier to stack them in the storage unit and make most of the space. This isn’t a Tetris game, and stacking boxes of different shapes and sizes, in reality, is time-consuming and really tiring. Cardboard boxes are a poor choice for storing items. Also, when it comes to packing materials that you should use, always opt for the plastic bins. Cardboard boxes are cheaper and easier to find. At the same time, they aren’t suitable for storing items for a long time since the cardboard deteriorates over time. It is also a magnet for insect and critters that consider it to be the great snack to nibble on. When you shut tight the cover of the plastic bin, it will keep your items safe from the elements and all the nasty things that are lurking in the dark corners. Packing before you rent a storage unit isn’t such a good idea. That can even cause you to repack. Avoid repeating this task, by first finding the suitable storage unit. When you are looking for a storage unit, think about its size and what items will you store in it. The type of your belongings will tell you which type of the storage unit you will need to get. If you plan to store items sensitive to the temperature fluctuation, you’ll need to opt out for climate controlled storage unit. Secure your fragile items – Before packing fragile items make sure to wrap them in layers of protective material. Label with the writing “fragile” should be on any boxes that contain such items. Use your furniture – If you’re storing cabinets, drawers or closets, make sure to use all the space that they provide. Put smaller items or boxes in them and use that extra space. Think vertically – All the bed frames or couches will take much less space if you place them vertically in the storage unit. Remove the batteries from the electrical devices – If you forget to take out the batteries from the toys, clocks or remotes, that can be the end of such items. Leaking battery acid will damage not only those items but also can endanger the rest of your belongings. Don’t stack glassware – Stacking glassware is never a good idea. Such items should be wrapped correctly and safely tucked away in one of the boxes with the label “fragile”. Get some shelves in your storage – Use the walls of the storage unit as the storage space by putting the shelves on them. That way, you’ll be using all the potential of your storage unit.